Sign-up and receive news about upcoming books, cover reveals and updates on Detective Jason Strong, Vanessa, Lieutenant Patton, Doc Davis and the rest. I was born in Toronto, Canada, and when I was 16, moved to Ft. Lauderdale, Fla. It was there that I met my wife, Bev. 36 years later, we have three sons, and 6 grandchildren. I'm now an American citizen, and we live in Southwest Missouri. I've been able to devote full time to my writing, and Bev is now my cover designer. We hope you enjoy reading our work as much as we do writing it. Did a guest spot on SPEAK UP TALK RADIO with hostess Pat Rullo. We talked about writing, the current books, and what's ahead for Jason, the City Murders, and more. Nice mention on a blog by Bill Burrows Audio. FUN INTERVIEW FROM AN AUDIOBOOK WEBSITE. Folks, please give a warm welcome to historical fiction & mystery author John C. Dalglish! We chat about dead authors, villains, obstacle courses, and plenty more. If you could be an extra on a TV/movie mystery, what show would it be? DEXTER– it was the first show my wife and I ever binge watched. We were addicted. ERMA BOMBECK– I know that probably comes across like-WHAT? !- but she’s one of the funniest people I’ve ever read. I would love to swap family stories about my kids. Over the years, are the changes in society reflected in today’s villains and heroes? I don’t know if they’re more or less evil than before- but the acts of the villains are more heinous by description. The heroes are probably a little less plastic. In my experience, some of the best fiction is based on facts and history. How do you build your research into your fictional works? 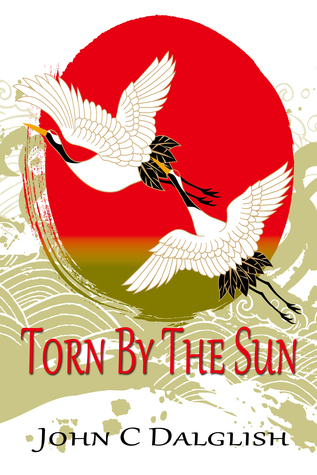 The book I will be giving away on your blog (Torn by the Sun) is my first attempt at Historical Fiction. I found the process very interesting. The main thing I had to keep in mind was that if I made up something that wasn’t factual, then it would definitely be caught by someone. It kept me on my toes and made sure I did my research. Mostly play husband and grandpa. Oh, and think about writing alot! What side characters in your work have caught more attention than you expected? Actually, I tell the story about how my main character in the Det. Jason Strong series came to be. 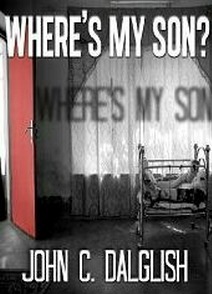 It turned out that I met him at the same time as my readers, when he showed up at the first crime scene of the first book, WHERE’S MY SON? He was the lead detective but not someone who was supposed to be a lead role. I liked him enough to make a whole series about him! “The Great Airport Mystery”– a Hardy Boys novel. I read the whole series. You have to run an obstacle course. Who do you invite along? Will there be a tasty libation involved? First of all, I’m not much of a drinker-wine or a beer occasionally- but I love me a Diet Cherry Limeaid from Sonic. I would probably invite Macgyver– or the Rock!